The global financial system has become increasingly exposed to volatility and the risk of a meltdown emanating from what were once considered stable institutions, and national-based monetary authorities exercise a decreasing degree of control over the system. This conclusion emerges from two analytical chapters of the Global Financial Stability report issued by the International Monetary Fund (IMF) on Monday in the lead-up to its spring meeting later this month. One chapter deals with the impact of “spillover” effects of turbulence in so-called emerging markets resulting from their closer integration into the global financial system over the past two decades. The other examines the heightened risks posed by insurance companies as they confront increasing problems flowing from the global low-interest rate regime. Underlying these effects is the growing significance of emerging markets in the global economy. As the IMF notes, they have contributed more than half of global growth over the past 15 years. Another indicator of increasing global integration, flowing from the establishment of global supply chains by major transnational corporations, is the 20-fold rise in trade between emerging market economies since the early 1990s. While the IMF does not make this point, the analysis contained in the report is an exposure of the claim that the turn to the “free market” is the road to stability for the global financial system. In the case of China, the exact opposite is the case. This analysis underscores one of the central features of the historic crisis of the capitalist economy—the ever-deepening contradiction between the global character of economic and financial activity and the nation-state system. Rather than exercising control, national-based central banks and monetary authorities—even the largest, such as the US Federal Reserve—increasingly have to react to, rather than direct, financial flows. This lack of control has worsened since the 2008 global financial crisis, with various funds, rather than banks, playing a growing role in the intermediation of global capital flows. The result is that “close to two-thirds of dollar funding originates outside the United States,” increasingly dominated by investment funds. The second chapter deals with the global life insurance industry and the “trends and systemic risk implications” of developments since the 2008 crisis. It notes that “across the advanced economies the contribution of life insurers to systemic risk has increased in recent years,” while it still remained below that of banks. Systemic risk refers to a situation where the financial problems encountered by an individual company sweep through the money markets as a whole. What the IMF disingenuously refers to as the “near collapse” of the American insurance giant AIG during the 2008 crisis “prompted a rethinking of the sector’s systemic risk contribution.” In fact, the firm went bankrupt and was only saved by a US government bailout. By every measure, the insurance companies’ contribution to that systemic risk is rising. They hold some $24 trillion, or 12 percent of global financial assets. This situation is set to worsen because there is little prospect of any major change in the current low-interest rate environment. As with the chapter on spillover effects, the IMF’s analysis of the insurance industry points to the increasing impotence of national-based regulatory institutions. It says authorities should take a more macro-prudential approach to the sector—that is, closer regulation of individual firms and tighter national standards. 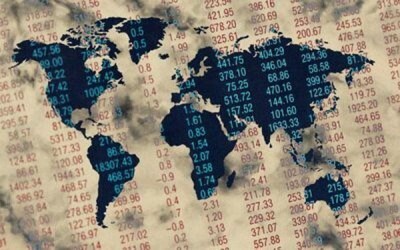 Such an approach, it says, would be complemented by “international adoption of capital and transparency standards for the sector,” indicating that in this global industry none exists at present.